Someone having a special birthday asked that anyone who wanted to give her/him a gift at a birthday party, give her their favorite book. Not one they thought she would like, but the one they liked the best--the one that meant the most to them. 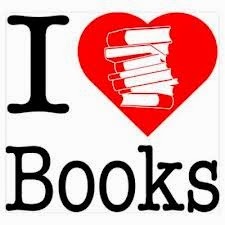 What book would you choose? 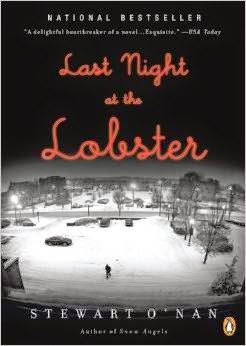 My choice would be Stewart O'Nan's LAST NIGHT AT THE LOBSTER. An underground newspaper is in financial trouble and might be bought by a larger concern (this at a time when newspapers had value). The in-fighting, worries, and sexual antics by the young, left-wing staff make up the plot. The film boasts some great actors doing some of their earliest film work: Jeff Goldblum is funny as the constantly stoned music critic, Bruno Kirby (pre-Godfather II, When Harry Met Sally) and sadly now dead, is almost unrecognizable, pre- L.A. Law Jill Eikenberry, Lindsay Crouse, Joe Morton (Terminator II, Lone Star, City of Hope) and now SCANDAL, a very young pre-TAXI Marilu Henner as a stripper and TV's 7th Heaven, Stephen Collins. Lots of fun, mostly for its actors and the idea that newspapers were important. The film was directed by Joan Micklin Silver. Sad that she didn't have the career this suggested was in store for her. HESTER STREET, CHILLY SCENES OF WINTER, and a few others before the fall into anonymity. So few female directors go on to a long career. Titles are important to me. I dislike titles that are hard to remember. 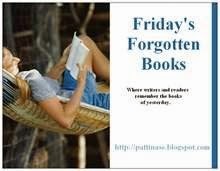 A case in point was a book reviewed last week for FFB. DEATH AT SWAYTHILLING COURT. Why would an author choose a name like Swaythilling for either a place or a title? Even if it's an actual place name I wouldn't use it on a book title. It's even hard to pronounce. Did the author think it unforgettable? Sometime titles are too generic though. Or too familiar. What title do you dislike and why? Whose titles are especially memorable? 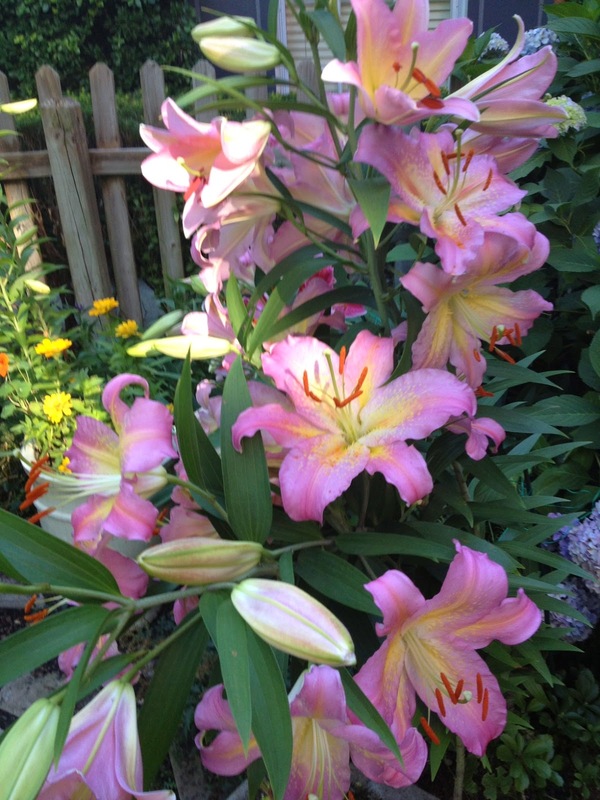 Welcome to Day 29 of the 5-2 Poetry Blog Tour. This month-long endeavor is the work of Gerald So and you can find him and lots of other content at the link. ONLY LOVERS LEFT ALIVE is up on Crimespree Cinema. This is the new Jarmusch film. Also a story of mine, IS THAT YOU? 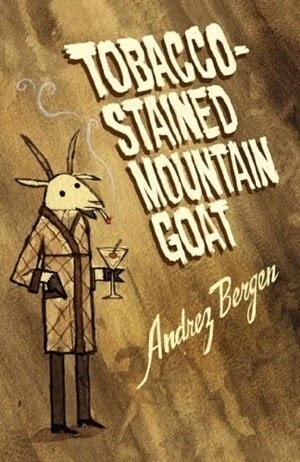 appears on BOOK PEOPLE's mystery blog today. It originally appeared in ALL DUE RESPECT.Thanks for the invite, Scott Montgomery. And thanks to Chris Rhatigan for the original publication. An extremely early appointment takes me away. I will post the missing links later in the morning. Thanks! PLEASE CONTRIBUTE A REVIEW ON MAY 16th FOR CRIME FICTION OF THE 1950s. 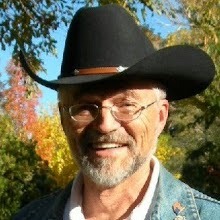 Kent Morgan writes a sports column in Winnipeg, Manitoba and is a candidate for the Hoarders TV show as he is losing a battle with the books in his home. He hates it when every week reviewers write about Forgotten Books that he knows has and hasn't read, but can't find. 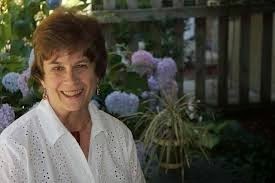 Alison Gordon was the first female sports writer assigned to an American League beat when the Toronto Star gave her the job of covering the Toronto Blue Jays. In 1985, her book about that not-always-pleasant experience titled Foul Balls: Five Years in the American League was published to positive reviews. After leaving the "toy department" Gordon began a mystery series with its main character a Toronto sports writer named Kate Henry. The first book was titled The Dead Pull Hitter and she followed up with Safe at Home, Night Game, Striking Out and Prairie Hardball. Prairie Hardball may be my favourite because it takes Kate away from her comfort zone of Toronto and Florida to the province of Saskatchewan where she grew up. 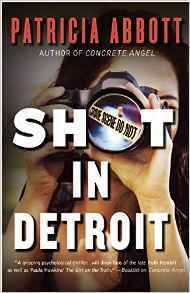 She brings her partner, Toronto homicide detective Andy Munro, with her to see her hometown of Indian Head. The reason for the trip is to watch her mother and the other Saskatchewan women who played in the All American Girls Professional Baseball League during the 1940s and early 1950s be inducted into the provincial Baseball Hall of Fame in Battleford. Philip Wrigley had recruited many of the best young softball players from the Wheat Province and neighbouring Manitoba to play in his "Glamour League." Some of the players have been warned to stay away from the induction and when one is murdered, Kate as might be expected becomes involved in the investigation. After Prairie Hardball was published, Gordon seemed to lose interest in writing. At least that's the impression I got from her in a brief email correspondence. In 2004 on her blog, Confessions of an Idiosyncratic Mind, Sarah Weinman began a series called The Disappeared and her first author was Alison. In it she gives a much better summary and analysis of the books than I could so I encourage you to track it down. Weinman suggests that Gordon's books succeed because they are character-driven. In the comments section, there is one from Alison herself where she says she hasn't disappeared, but is living happily ever after in Toronto. She said that she had felt that she had gone as far as she could with Kate Henry and hadn't stopped writing because of lack of interest by her publisher. She also added that occasionally a bunch of her Presbyterian ancestors show up in the middle of the night to inform her, in heavy Scots accents, that she is wasting her God-given talent, but so far she had managed to drive them off. I guess she continues to do so. The last I heard about Alison came in 2009 when she wrote an afterword for a new edition of The Men From Glengarry, a book written by her grandfather Rev. Dr. Charles William Gordon in 1901. He wrote under the pseudonym of Ralph Connor and sold millions of books around the turn of the 20th Century. Connor was Canada's best-selling author and in my opinion his granddaughter Alison is one of our country's best mystery novelists. 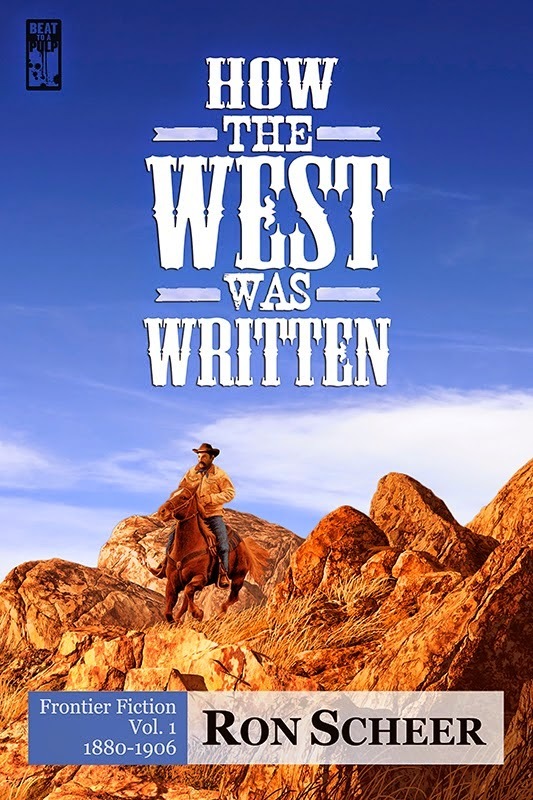 Our friend, Ron Scheer's extremely literate book on early western fiction is now available in kindle and in paperback. Do yourself a favor and buy a copy. If I had to choose, I would probably go with LOOK HOMEWARD, ANGEL, which despite Max Perkins editing still seems over-wrought and over-written. Or maybe it is mostly that styles have changed. Not sure. Buy Needle Magazine - Spring 2014 by Steve Weddle (Paperback) online at Lulu. Visit the Lulu Marketplace for product details, ratings, and reviews. Stories by William Boyle, Heath Lowrance, Jen Conley and lots of others including me. 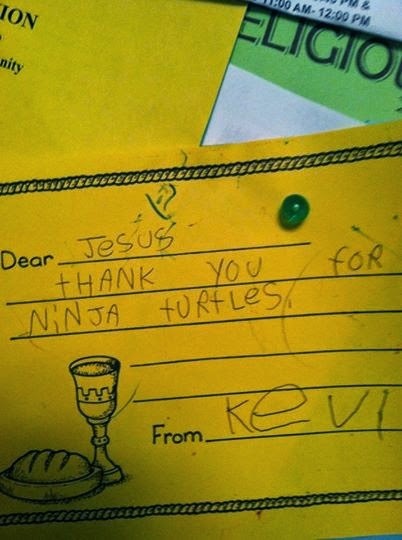 For his last class before making his first communion, Kevin, age 7, was asked to write a note to Jesus thanking him for what's most important to him. This classic Cheever story has been done on TV at least twice. It was an episode of ALFRED HITCHCOCK PRESENTS in the 1960s and then as part of THREE BY CHEEVER on PBS in 1979. The story is good enough that it could easily be made again. A callous executive has an affair with his secretary. He knows she's a bit unstable but when he cruely dumps her, he finds out just how unstable when she shows up on the 5:48, his train back to suburbia. Zachary Scott and Phyllis Thaxter starred in the AH version. Here it is Laurence Luckinbill and Mary Beth Hurt. Cheever's story is as dark as any noir. I tried to find a clip but was unable to do. HULU has all the AHs for free if you want to look for it. Although my favorite Cheever adaptation remains THE SWIMMER with Burt Lancaster, THE 5:48 is an excellent runnerup. ***John informs us in the comments, that this episode of AHP is from Season Six and probably can be found on you tube, not Hulu. Today's links will appear at B.V. Lawson's excellent blog IN REFERENCE TO MURDER. Thanks, Bonnie. Rachel is a single woman in her thirties, an "old maid." Her siblings have grown and moved away from Manawaka, the small town in Canada where the book.movie takes place. Rachel is the unwilling caretaker for her mother, who is frail and needy. Rachel is needy, too. She would like to find love, a husband of her own, and have children, but she does not know how to escape the ties that bind her to the small town and her unrewarding life. Margaret Laurence and Paul Newman in turn lets us feel her frustration and longing. How Do You Solve a Problem Like Kalinda? I remember when Kalinda was the hottest thing going a few years ago. And then the writers on THE GOOD WIFE gave her a husband who turned out to be a big jerk. And suddenly Kalinda lost her appeal too. Can she recapture it? I don't know. The writers don't seem to know what to do with her either sexually or job-wise. There are characters on every show that seem to wax and wane over time. I am also thinking of the actor who plays Joel on PARENTHOOD. Suddenly he became a jerk this year. Sorry, but people don't change like this. And now they may have to write him off the show to settle this issue. Can we ever forgive him for letting his newly adopted son down? Does anyone walk away from their family this easily? What other actors bear the brunt of bad decisions on the part of writers? If you clink the link saying Listen to the Podcast, the story is read aloud by a terrific reader. A great thrill for me. I have never heard anyone read my stories before and it was quite an experience. Next Friday, April 18, B.V. Lawson (In Reference to Murder) will be collecting the links, right here. First published in 1987, A Fatal Inversion was the second book Ruth Rendell released under her alternate pen name of Barbara Vine. 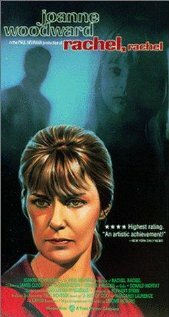 Unlike the majority of the Ruth Rendell books--police procedurals featuring DCI Reg Wexford of the Kingsmarkham police force—the Barbara Vine novels focus less on the solution to a specific crime and more on the unintended and far-reaching consequences of past actions, often committed by people with social, emotional, or mental limitations, on present situations. Although they contain much of Rendell’s atmospheric descriptions of natural and architectural beauty and keen insights into the psyches of damaged individuals, the Barbara Vine novels are also darker and more psychologically fraught than most of the Rendell books, with muted endings that are both downbeat and inevitable. In these ways, A Fatal Inversion is very much a “typical” Barbara Vine work. 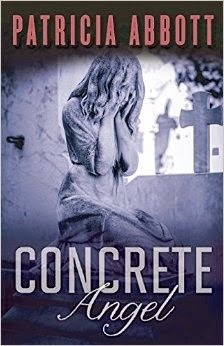 A couple digging in a pet cemetery to bury the remains of their beloved dog uncover the skeletons of a woman and an infant. Authorities determine the bones to have been in the ground about a decade and start an investigation. The news of the discovery of the bones has a shattering impact on three men: Adam, Rufus, and Shiva. None of them has had any communication with the others for over ten years, but each thinks back on the summer of 1976 when they were about twenty years old and lived in a commune-like setting at Wyvis Hall, a large manor house that Adam unexpectedly inherited from his great-uncle. The decision by this great-uncle to skip Adam’s father (the presumed heir) and will an enormous house (with its related responsibilities and upkeep) to the far-too-young, inexperienced, and underfunded Adam is an inversion in the order of things that will shatter many lives. As each of the men remembers elements of that long-ago summer, we also learn of their lives in the present. Adam has become a fussy man, neurotically obsessed with the health of his infant daughter who he loves in equal proportion to the contempt he feels for his sensible wife. Rufus is a successful, charming Harley Street doctor, unaware that his “secret” drinking is a secret to no one but himself. Shiva, born and raised in England but always aware that his skin color and Indian ancestry mark him as someone different and the focus of neighborhood racism, has never fulfilled his earlier potential as a promising medical and pharmacy student. There were also two women at Wyvis Hall during the summer of 1976: Vivien, Shiva’s sometime girlfriend, a maternal earth-mother type, and Zosie, whose mental instability is obvious to the reader but not so much to the others—perhaps because of their youth or perhaps because Zosie’s hippie/waif look so much embodies the standard of beauty of her era. Zosie is briefly Rufus’s girlfriend, but transfers her affections to Adam who falls head-over-heels in love with her, even when she commits a shocking act (another “inversion” to the natural order) that will have terrible consequences for everyone. Vine carefully and cleverly uncovers the secret of Wyvis Hall and what happened during the summer of 1976, moving between the present and the past with ease. She does some very clever technical work, since we essentially are reading six different viewpoints: Each of the three men in the present and each of their memories of the past. She keeps us guessing as to the identity of the two skeletons and how they got into the ground. In the end, one would have to say that “punishment” (such as it is) for the guilty is not meted out in proportion to the level of responsibility each one assumes for what went on that summer. And, possibly, the guiltiest person of all ends up in the happiest of circumstances. Such is the world of Barbara Vine. Your contract with the author. said the author broke his contract with the reader. Do you feel an author has a contract with his/her readers? Does he/she have completely autonomy in telling the story or is their an unwritten contract that certain obligations much be met? 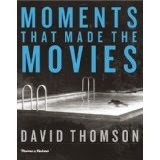 Really enjoying this book, which takes a group of movies and looks at a specific scene that you as a viewer probably take away with you. 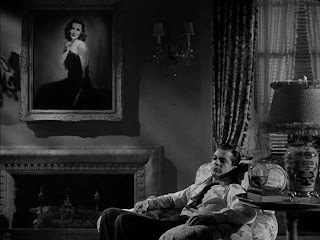 For instance, the scene in LAURA where Dana Andrews falls asleep in front of the painting of Laura, waking to find her there. Or this one from 20,000 YEARS IN SING SING. 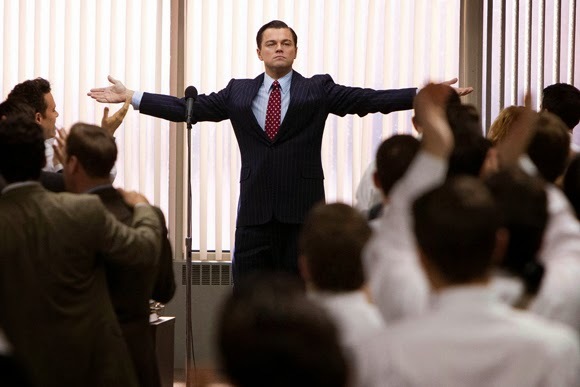 What scene from a movie defines it for you? A few weeks ago I saw LE WEEKEND, a film about a older British couple on a weekend in Paris, and was amused by Jeff Goldblum's performance. He was playing a character very like himself, but who does it better? He was the smart narcissist that really had a heart beneath all the pomp. He managed to seem completely absorbed by both the person across from him and himself, seemingly flirting with both. It's as if the person across from him functions as a mirror . Great little movie. Smart, surprising, surly. A lot of actors used to play themselves (Cary Grant, John Wayne, Clark Gable) but it is rarer today. 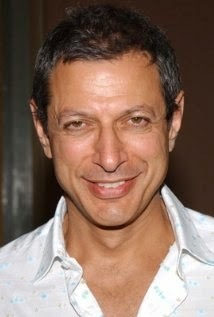 My favorite Goldblum performances are in BETWEEN THE LINES, THE FLY, THE BIG CHILL and his time spend on the TV show TEN SPEED AND BROWN SHOES. What actors play themselves to perfection? Check out my review of ENEMY at Crimespree Magazine. Of course, any review is welcome. 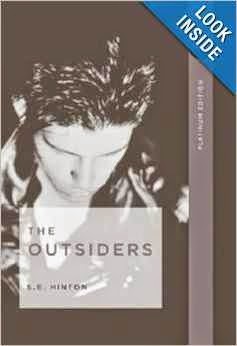 If you haven't read a book from the fifties recently, you may find one lurking in your archives. Six years of forgotten books this month. It's been a privilege to work with so many great reviewers. This is one of the few books I’ve read in recent years that uses sixties’ radicalism in a crime fiction plot. And uses it to good avail. Hellmann tells an interesting story with just the right amount of attention to the climate of the sixties to anchor it. Her characters are fleshed out well, and we come to care about them in the past and in the present. Dar Gartner is newly released from jail after serving a long prison sentence for an act of radicalism. In trying to put a new life together in Chicago, he also touches base with some members of his old group of friends. Friends who begin to die after his re-entry into their lives. His life seems in jeopardy as well. One of the friends who dies is the father of Lila Hilliard. Hilliard, along with Lila's brother, perish in a house fire seemingly caused by faulty Christmas tree lights. Except Lila remembers unplugging the lights before she went out. 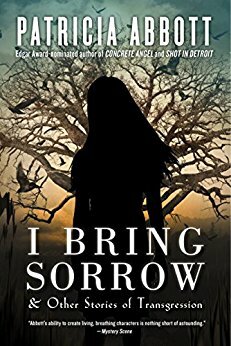 As she investigates her father’s business affairs and the fire, her own life is threatened and she realizes there were things about her father and his tale of her long-dead mother that never quite added up. So Lila and Dar begin circling each other, Lila is wary at first until in desperation they collectively put the puzzle together. Both are at risk and neither knows precisely where the threat is coming from, but both eventually conclude it's coming from past activities of the group of friends. The reader travels back to the late sixties and watches the group of women and men living together, making the decisions that will affect the rest of their life. Through their circle, we're treated to insight into the types of young people drawn to radicalism and what price they were willing to pay to reform society. And also, what lengths they were willing to go to to cover their trail and how that history impacts the present. 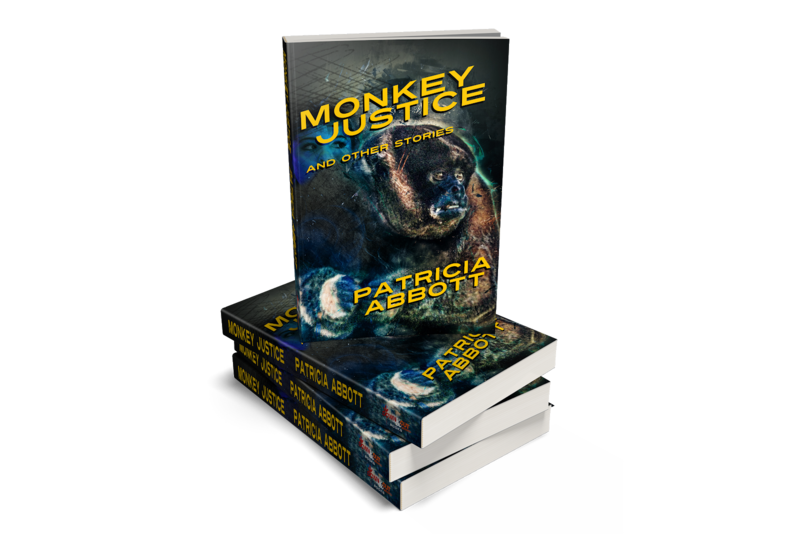 The race of Lila and Dar to piece together the plot against them and act swiftly enough to save their lives makes this a thrilling read. This was a very fine and compelling story. Few actresses have conducted themselves with more grace. YAs continue to be mysterious to me. When I see TO KILL A MOCKINGBIRD on a list, it makes no sense. Sure kids should and do read it, but it would probably resonate more with adults. I guess the explosion began with the S.E Hinton books of the 1970s. For the first time, books exclusively about teenagers sold very well. Some adults read them (like me because I wanted to see why kids liked them) but on the whole their audience was YAs. And then the Harry Potter books came along and middle school books were read by adults. What makes a book YA? Simply having a protagonist that is a teen? Is the plot more simple? The writing?Go into a book store and the sheer volume of kids' book will blow you away. 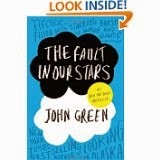 I just finished THE FAULT IN THE STARS, which I liked a lot. And only in certain sections did it seem a book written for teens (mostly when they were playing computer games). Same with THE BOOK THIEF. Megan's last several books, sometimes labeled YA, seem far too mature for teens. Although when my kids were ten or eleven, they were reading adult books. As did I in an era when there were not YA books though. I think the truly invested teen reader will probably move onto adult books more quickly than the reluctant one. What is your favorite YA if you have read any?And now we have a new category the new adult reader. At heart this is a domestic novel set in Australia. 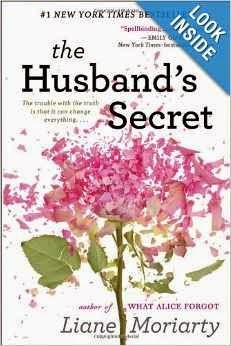 But Liane Moriarty was clever enough to put enough twists and turns to keep a reader who likes suspense engaged. It entwines several women and their respective families, all connected to the same school, and gives them stories rich and complex enough to allow them interact on several levels. Of course, the very title seduces you. One character, mother of three girls, and a woman who prides herself on being on top of things, finds a letter addressed to her from her husband with the warning it is not to be read until after his death. What she does with this letter forms the first part of the novel. But we also having a grieving mother about to lose her beloved grandchild in a move to the US,, and a marriage threatened from an odd angle. The stories are all interesting enough to keep you turning pages in the second half of the book. And the first surprise is not the only one. The strength of the book lay in its "what-ifs." The repercussions of human behavior, often the actions that occur without thought or notice, is at its heart. I have been rating movies for about twenty years. I see about 75 movies a year (at least) and in that entire time, I have only rated one as a 10. And this was the one. Max Von Sydow plays Pelle, who with his son is forced to emigrate to Denmark after Sweden cannot sustain them. Their life is hard in Denmark. Not speaking the language is a severe deficit. As they come to speak the language, things improve for both of them. This is certainly a movie full of heart. Directed by Billie August in 1988.